We landed in Entebbe closer to 9:30pm on Sunday night and proceeded through customs. The first thing most of us noticed was the high relative humidity and the alarming number of mosquitos nesting on the windows of the airport. We were soon met by two of our guides for the trip, Moses and Martin, after we picked up our equipment and loaded up these Jurassic Park-esque land cruisers and started the drive to our first hotel. Some things that really stood out to me on the drive there was the presence of LED lights and fluorescence everywhere in the city of Entebbe and Kampala, lots of bars and social gathering places (though in some part due to it being a Saturday night and Valentine’s Day), company presences such as Pepsi, Coke, Huawei and Sandolin, as the seeming mess that is driving in the cities. While the driving sides are flipped from what we’re used to seeing in the States, the perpetual use of a horn to overtake people in two laned roads, people running across their highways and being so close to motorists or cars that we could touch them was a lot more concerning at first. While electricity seemed readily available to use, I noticed that many people just sitting and talking did not seem to mind the darkness and lights were mainly used to sell street food. We travelled for about an hour and met with Professor Guest, Lauren and Bernardo at our first hotel.I think we were definitely spoiled staying at the hotel that we did, complete with fully functioning WiFi, nice ammenities, and more conveniences that most of us were expecting. The next day we hit the road early again began our journey to Masaka. 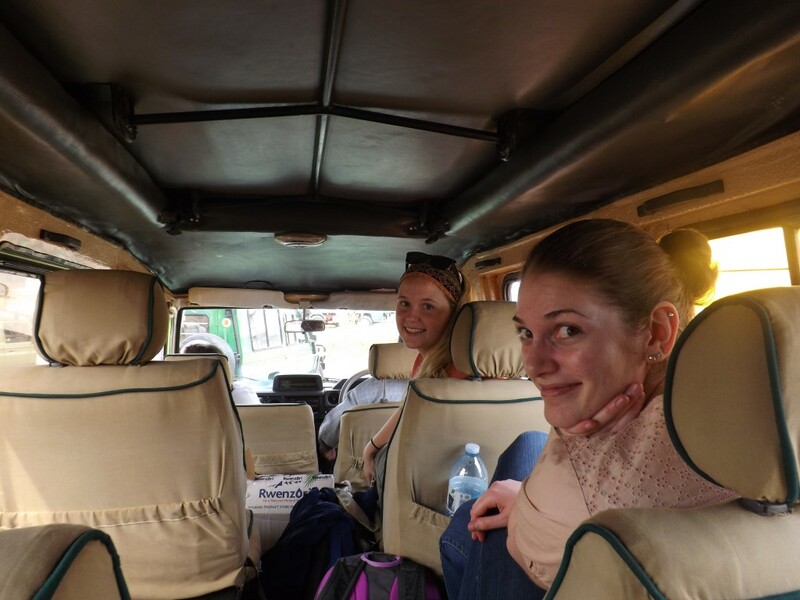 On the drive there, Madeline, Ellyn, Kate and I got the opportunity to chat and learn a lot more about Uganda from our guide, Jimmy. We soon learned what a wealth of knowledge Jimmy had and the fact that he was very open about sharing it with us proved an invaluable resource. In no particular order, here are some of the things that we learned either from Jimmy or asking him about the things we were driving past. There were many clay brick kilns everywhere. Clay bricks are a cheap and easy way for any Ugandan person to build their own homes. The process is simply for a person to collect the red clay readily found off the sides of roads or to buy them, mix it with water, shape the bricks, dry them, and then fire them. Though we are unsure of what temperatures these kilns can achieve, it could be looked into further. Everyone has fruit trees on their property, and fruit is generally favored over meat. 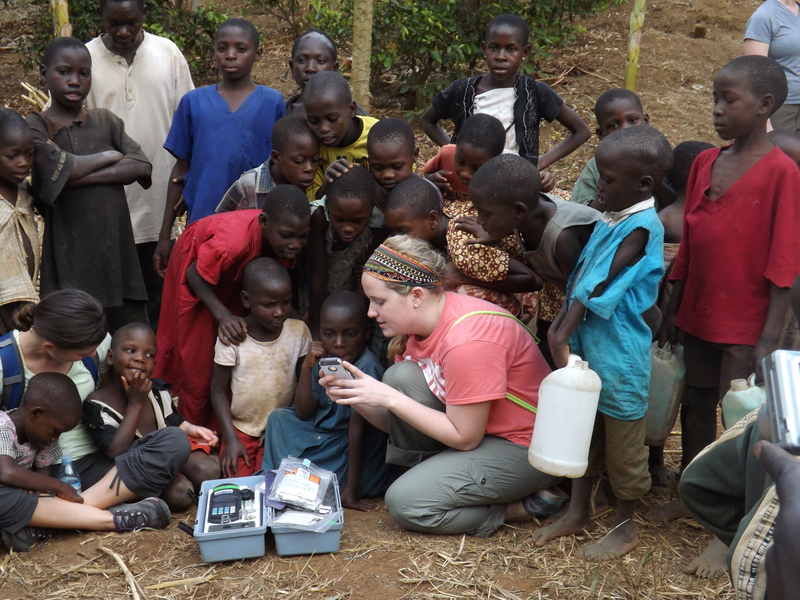 Nutrition, at least the way Jimmy described it to us, plays a very large role in the lives of Ugandans. This includes the general rule that every family owns at least one cow. For rural people, this is essential as the nutrition found in the cow milk helps their children grow strong quickly. Kids who don’t have easy access to a primary school often have to walk two kilometers or more one way to reach there on their own, meaning rural kids will have to start school when they are about 5 years of age. This is contrasted to the kids in the cities, where kids begin primary school around 2.5 to 3 years old. 3-6: Kids will learn how to read and write English and to advance, must pass an exam where they prove they can read every letter. The reason for this is because English is predominantly spoken to the children in homes and around the cities, and literacy is crucial to allow these children to understand the language. 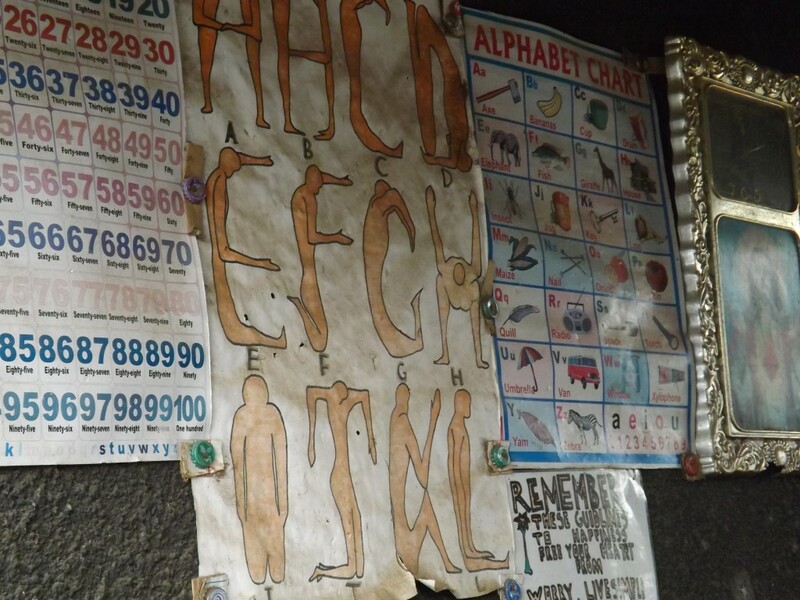 Often times in more remote locations, posters like these will be displayed to help the children learn the alphabet. 6-10: Kids will begin secondary school where they learn 13 subjects, some of which include Geography, Math, and History. We weren’t able to identify all 13. 10~18: Kids will progress through various stages of schooling whereby they will narrow down their studies from 13 to 8 subjects, and furthermore to 5 specific subjects by the time they enter a university. These 5 subjects are chosen by their marks on the exams they take, an example of which was a “UCE” exam. 18-22: Students enter a university and study their selected 5 subjects, and tend to focus on one or two of their subjects as specialties. Papyrus is a naturally occurring plant in the outskirts of towns in the prevalent wetlands. 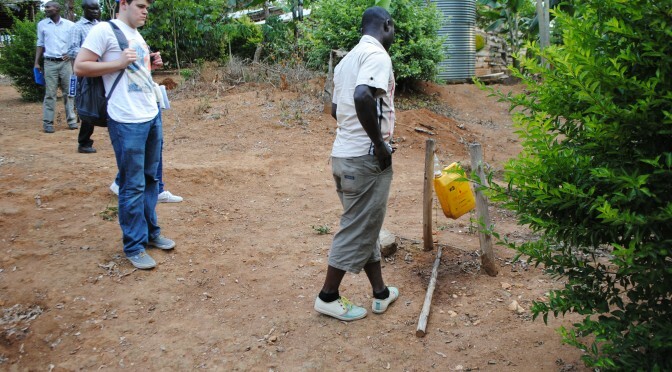 The plant filters the water as it flows back down either to Lake Victoria or local water valleys. The plant is also used for other things such as roofing material. There are 9 Kingdoms here in Uganda, and 33 ethnic groups. Though the kings hold no real political power, they do act as community leaders and the people view them highly and follow their word. 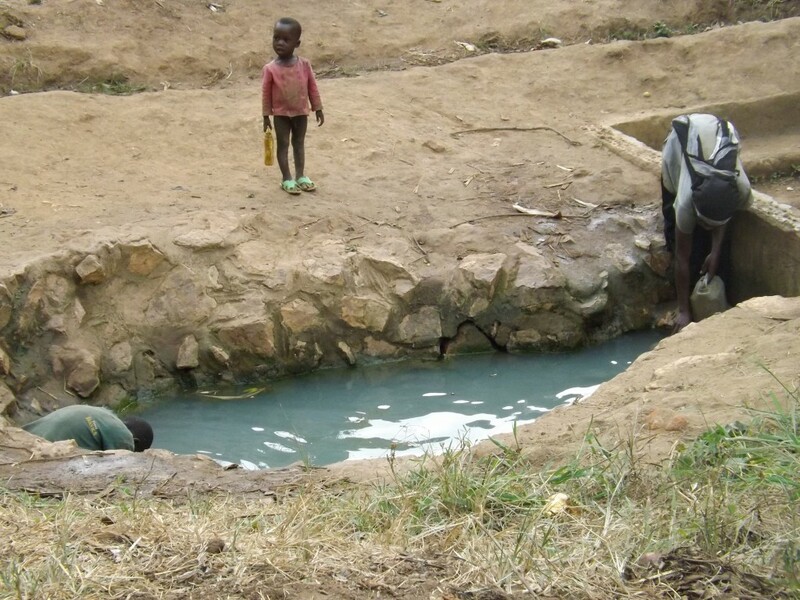 As an example, Kings are often the ones to tell their people how sanitation practices should be, or to protect the local water sources by telling their people not to bring their animals there. English is the national language of Uganda, with Swahili coming in second and the native tongue of the local area in third generally. The reason for this is because back in 1971 to 1979, a dictator had usurped the Prime Minister and took over the Ugandan government. He had abolished Swahili from schools and kept it only between his military force, much of which was recruited from northern/northwestern Uganda, where they still speak Swahili. However, speaking Swahili may not be met as kindly in the larger cities as a stigma still exists towards the language. Some exports include roses, ginger, coffee and vegetables. Places include Europe and the neighboring countries. Countries in the East African Community (EAC) include Kenya, Rwanda, Uganda, Tanzania, Ethiopia, and Burundi. Imports obtained between these countries are discounted heavily between each other. South Sudan has previously tried to join the EAC, however from Jimmy’s view, the country is unfavorable to trade in. He told us that historically, there has been a lot of kidnappings or killing of merchants from Uganda in South Sudan. In Jimmy’s words, 90% of goods are imported from China here and that you’ll find the lowest and highest quality products are in fact made in China. However, if you’re looking for middle quality and price range, Thai imports become the most favorable. There is an increasing presence of the Chinese here in Uganda, especially with leasing land from the government. Jimmy tells us that currently, the Chinese are using this land to grow crops such as corn or rice and solely export this back to China. This may become a problem down the line, as land is becoming increasingly scarce. There is free analog broadcasting for tv. What this means is that if a person buys a tv and sets up an antenna, they can immediately watch whatever is being broadcasted. However, this is now a switch to digital with companies like DSTV, where consumers can buy the service on a monthly basis. Ugandan’s follow a typical weekly schedule to us Monday through Friday, and for most governmental or city based jobs, Saturday’s are half days. Most people will use this time to go shopping for groceries or do other things. Sunday is an off day, in large part to religions. People of the Islamic faith have been noted to dress up nicely and go to lunch as families on this day. Jimmy tells us that there are no real conflicts that exist between the ethnic groups or various faiths here. Many different religions are practiced here including Jehovah’s Witnesses, Christianity, Catholicism, Islam, Protestant, “Non-believers” who believe in a faith structure such as Lake Victoria as the Goddess of Water, the Sun as the God of Light, etc. Of the rural villages, men will often be the ones to go into the city centers to do business or “booze” as Jimmy puts it. Women will often stay home to care for the children and run the farm. Of the women who go to Church on Sunday, a practice which not only is of religion but also to gather socially with their neighbors, it is expected that they stay after the service. NGOs offer programs to help educate the women about HIV/AIDs as well as providing examples like bringing in successful women who only have two children. For rural and non-rural people alike, livestock such as cows or goats are treated akin to assets. Because banking is heavily unfavorable to people farther out from city centers, farmers will often own their cows and reap its products such as milk, and sell the cow in cases of emergency. When we finally reached Masaka, we ate lunch together and then took the last part of the drive to reach Peter Luswata’s farm. Peter was a very welcoming man, and has proven to be a very effective entrepreneur in his own right. We were able to get a tour of his farm, including the biogas digester, the pig unit, a protected water well and some examples of cooking. We took two water samples, one at Peter’s farm and another at a kiosk further away. This is an open water source near the first groundwater well found on Peter’s farm. Though it isn’t treated by anything, we still saw people collecting water from it. 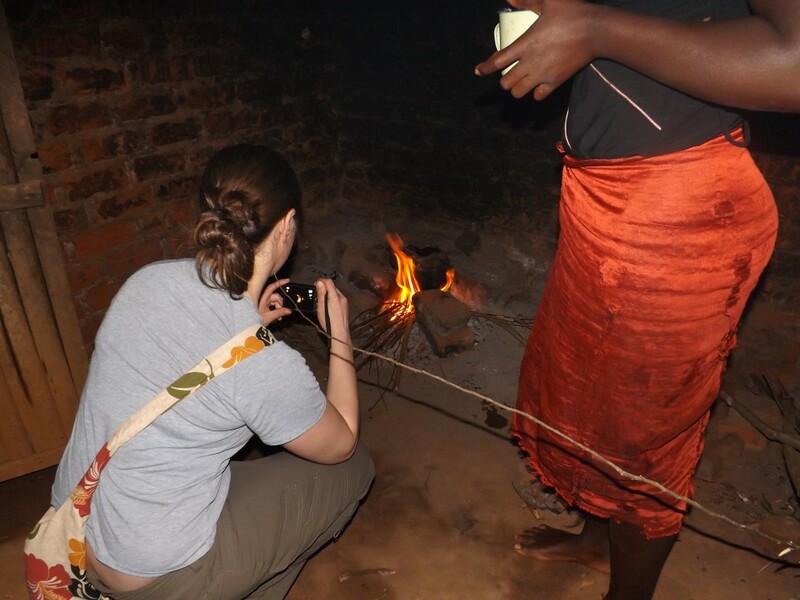 We were able to see how the biogas reactor fed a cookstove as well as providing fuel for a light just outside of it. We were also able to stop by a woman’s house to see her outdoor kitchen. A removed structure from the main house was constructed in order to do the wood-fire based cooking because it did produce so much smoke. However, charcoal based cooking was okay in the main house. 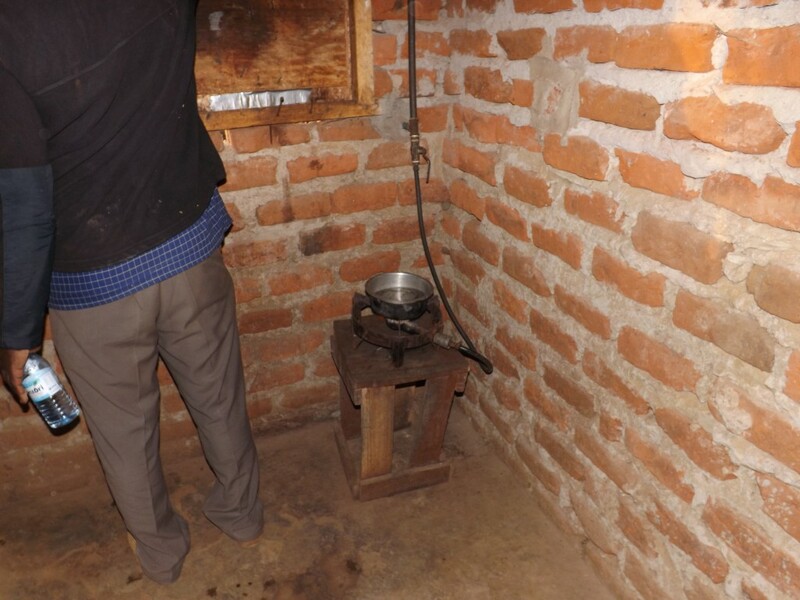 This is the methane fed cookstove from the biogas reactor on Peter’s Farm. 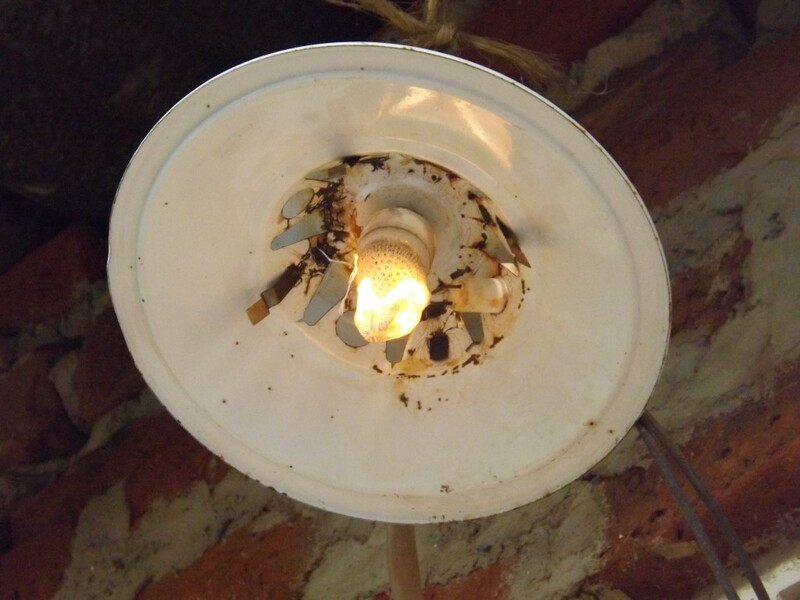 The lack of soot on the walls is due to the cleaner combustion of the gas compared to fuels such as wood or charcoal. The light is fueled by the methane as well. This is the separated kitchen where it is clearly visible how much soot is left on the walls. I think one of my favorite parts of our time at the farm was getting a chance to interact with the locals and children. Madeline and Lauren were swarmed by the children when we took photos and showing them things like a “selfie” or the Polaroids we took captivated them to no end. At the lady’s home, I was swarmed by the children as I took photos of the kitchen. They often repeated the phrase “No touch!” around me, but I think they were daring each other to touch me as many of them poked my neck. We were then welcomed home to a great meal, along with some fried tilapia that we had bought earlier in the day. Food has been very plentiful here for us, and tasty as well! The spirit found here on Peter’s farm is definitely one that the world needs to share more of if we plan on helping keep the environment stable.